AutoScan-DS-EX is an unexpectedly cost-effective option for the dental market. 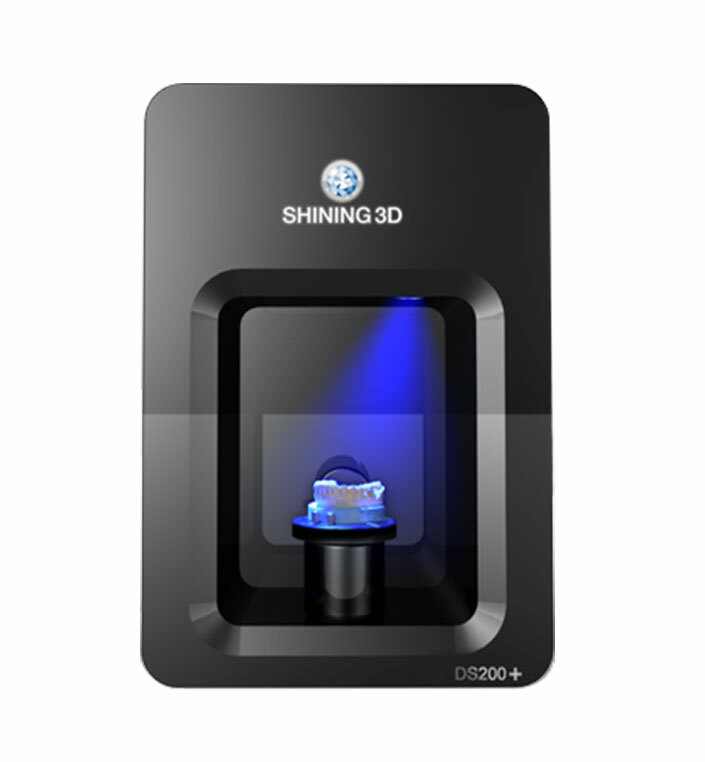 This brand new 3D dental scanner will amaze the dental world with its unmatched small footprint and unprecedented light-weight. 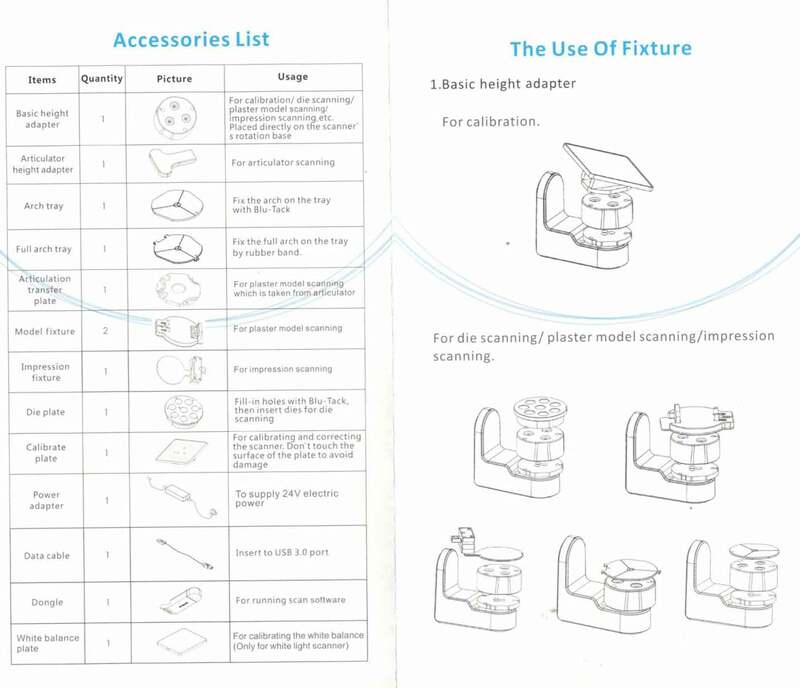 This will make it the ideal scanning solution for any dental service bureau and labs with restricted space. 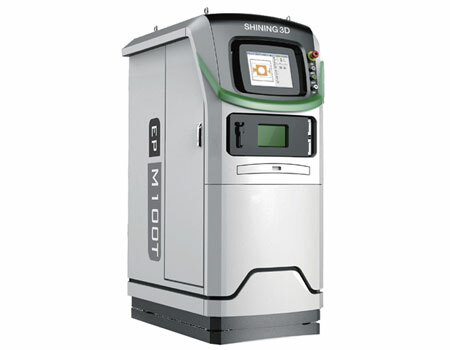 SHINING 3D EP-M100T is a small size metal 3D printer. The system is also ideal for lab environment, where less accessory equipment and less powder are required. The open system provides limitless imagination for the lab experiment. Thanks to the combination of superior scanning speed and high accuracy, the AutoScan-DS-EX Pro is destined to bring the global digital dental industry to yet a much higher level. Happy-Dent Trade Ltd, the exclusive distibutor in Hungary of AutoScan-DS-EX scanners brings you a new era of digital 3d dental scanning. 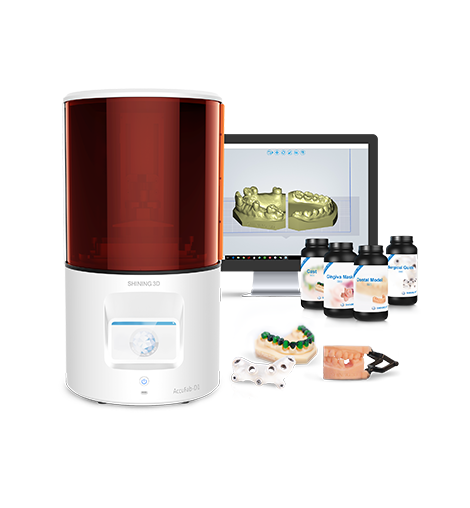 Get acquainted with the AutoScan DS-EX Dental 3D scanners and the EP-M100T Metal 3D Printer! Articulator scanning: support the 3D scanning of most articulators available in the market, such as Artex, KAVO, etc. Triple-tray scanning: more convenient triple-tray impression scanning with optimized jig. Texture scanning: marks on dental models can be captured clearly, providing reference for further design work. 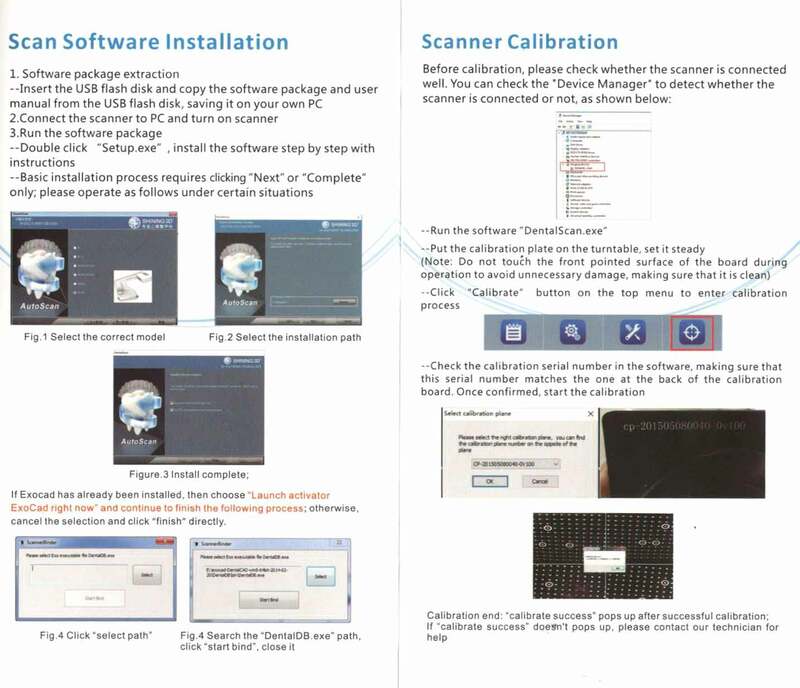 Continuous Scanning: The AutoScan-DS-EX 3D scanner provides an optimal data post-processing option through LAN net-work. 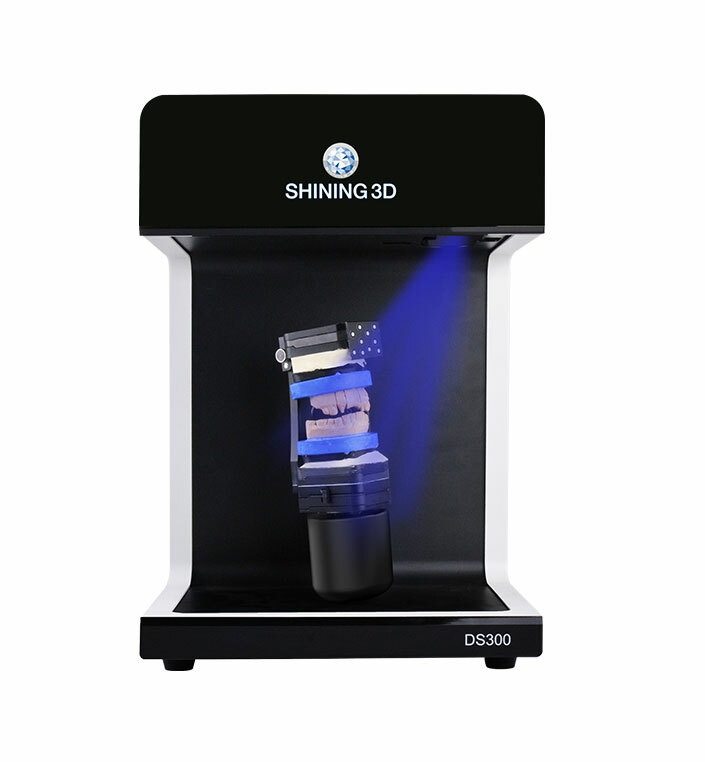 SHINING 3D’s newest addition to our dental 3D scanners lineup, the AutoScan-DS-EX Pro, features a compact size, lightweight a number of versatile functions, and outstanding scan speed, to meet our customers’ demands for numerous scan. 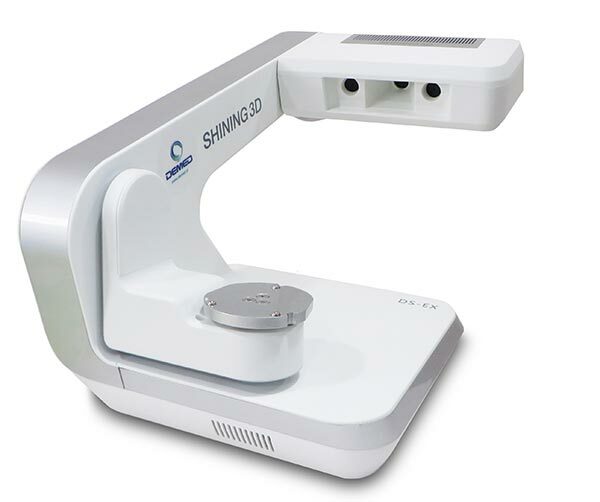 It is highly suitable for data capturing in restorations, orthodontics and implant cases. It comes integrated with two projector options – blue light and white light. The scanner meets customers’ different expectations for various applications. Thanks to the combination of superior scanning speed and high accuracy, the AutoScan-DS-EX Pro is destined to bring the global digital dental industry to yet a much higher level. 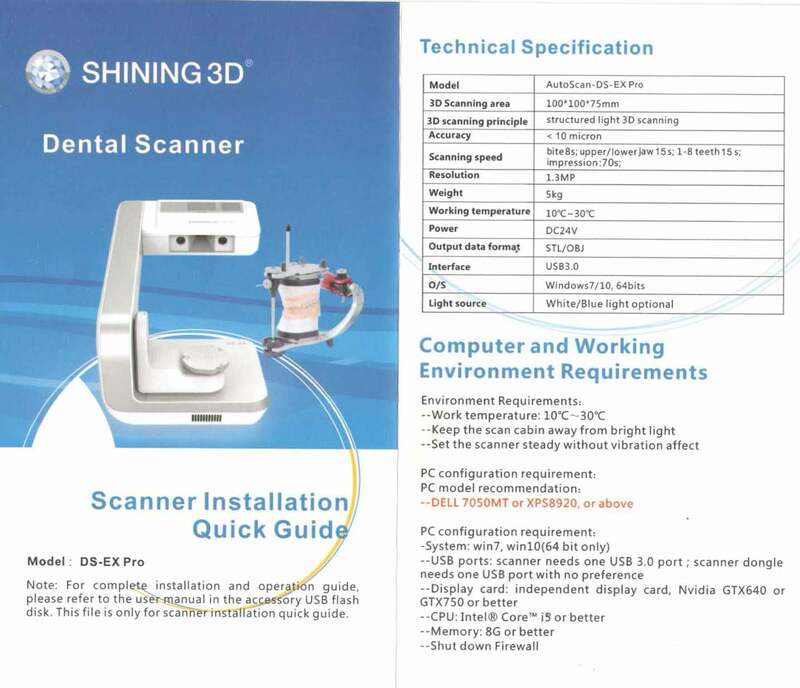 Here you can browse the manual for the AutoScan DS-EX-PRO Dental 3D Scanner in english! 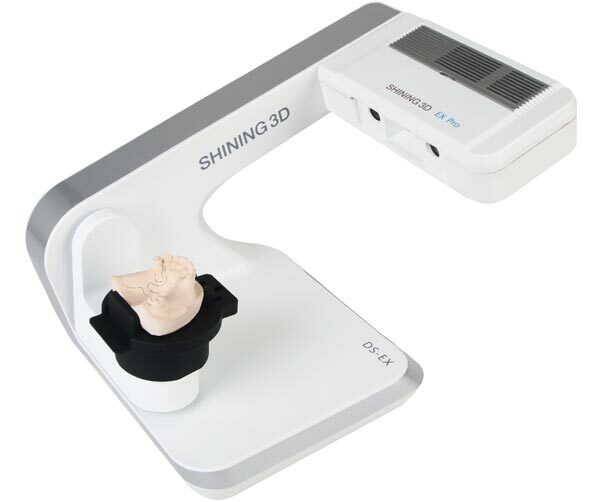 AutoScan-DS300 High-end Dental 3D Scanner supports articulator scanning, the positioning of the stone models within the physical articulator can be precisely transferred into the software. It is aimed to high-end implant restoration application. 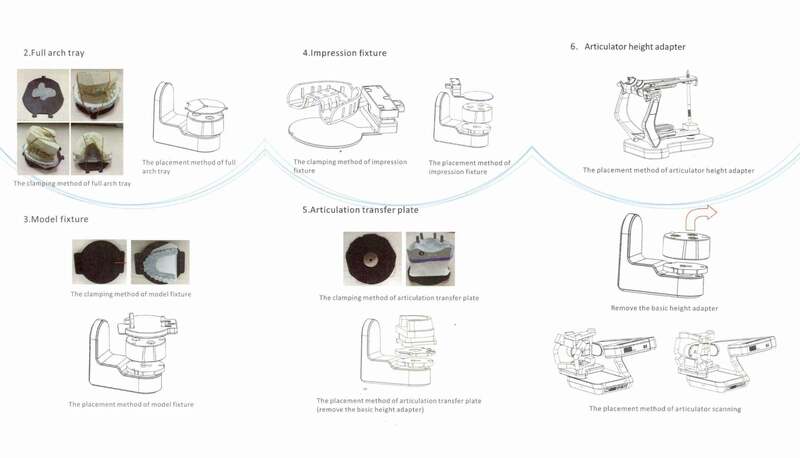 AutoScan-DS300 is the best choice for high-end implant restoration labs in the areas of big bridge restoration, occlusion reconstruction, etc. 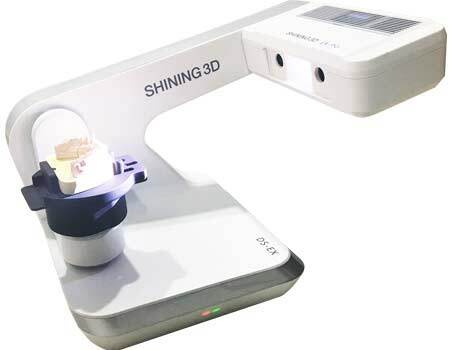 SHINING 3D AutoScan-DS200+ Ultra Fast Dental 3D Scanner has been upgraded from AutoScan-DS200. The scan speed is greatly improved and single jaw dental arch scanning takes within 20s! 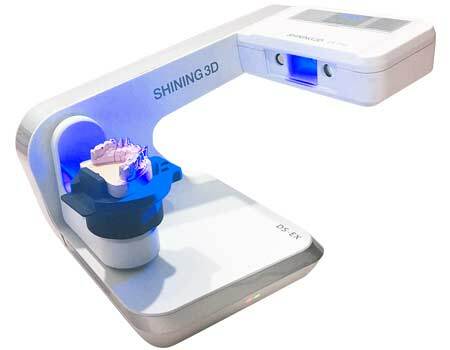 SHINING 3D AutoScan-DS200+ Dental 3D Scanner takes your design to the next level to realize highly efficient production. EP-M100T adopts Selective Laser Melting technology, which selectively melt fine layers of metal powder directly from 3D file. EP-M100T, with a smaller build chamber, which is best for small parts printing, finds its wide use in dental, jewelry, medical market, etc. Visualized touch screen design of control console, offers user-friendly operation. Integrated design makes operation and maintenance convenient. Intelligent powder coating method and faster scanning speed ensure printing more efficiently. Unique scanning path and oxygen control assures high property printing quality. The power consumption of the whole machine is less than 1kw. Az automatikus áramlásszabályozás és az inert gáz automatikus cirkulációs szűrése biztosítja a legalacsonyabb gázfelhasználást. A kompakt kamra kialakítása és a kiváló tömítettség minimalizálja a porfogyasztást. EP-M250 has wide application in dental, jewelry, and education etc. Diversity of printing material: Stainless steel, high temperature nickel base alloy, maraging steel, titanium alloy, cobalt chromium alloy, aluminum alloy, high strength steel, copper alloy, tungsten alloy. 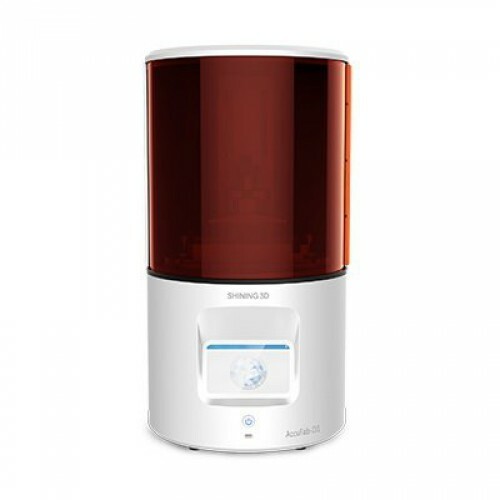 AccuFab-D1 is a desktop DLP 3D printer specially developed for use in digital dentistry. 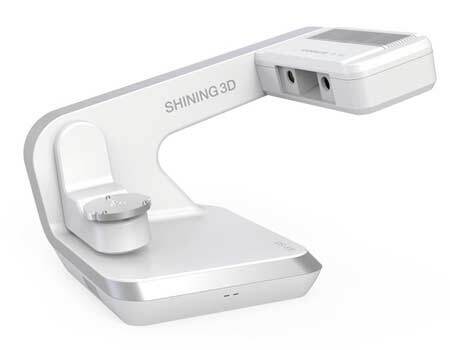 It comes with SHINING 3D’s own optimized data planning and printing control software, which ensures a user-friendly and intuitive workflow. AccuFab-D1 features high print resolution and an outstanding efficiency; it can be used in multiple applications maintaining great accuracy. This is the ideal printer solution for all dental customers wishing to enter into the era of digital production. We highly recommend you using exocad to achieve the highest possible result. 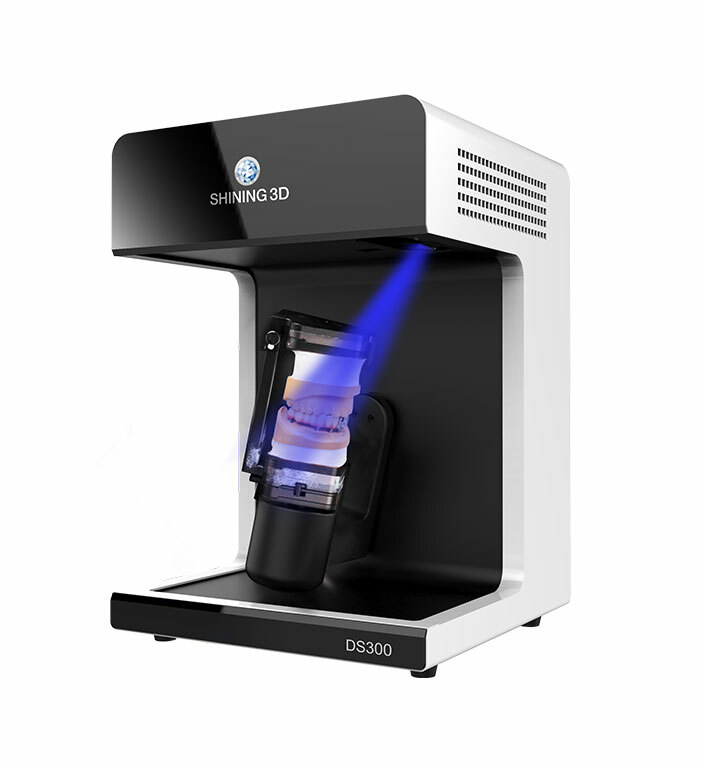 An intoduction video of the AutoScan DS-EX Pro 3D dental scanner in english language. If you have any questions feel free to write us using the form on the left, or to contact us using any of our contacts below! 1119 Budapest, Tétényi str 107.